If you are operating an email discussion group, it is important to decide if the replies from your subscribers should go to the entire list or only to the individual who posted the message. The Reply-To header in an Email Discussion Group, is a controversial topic. 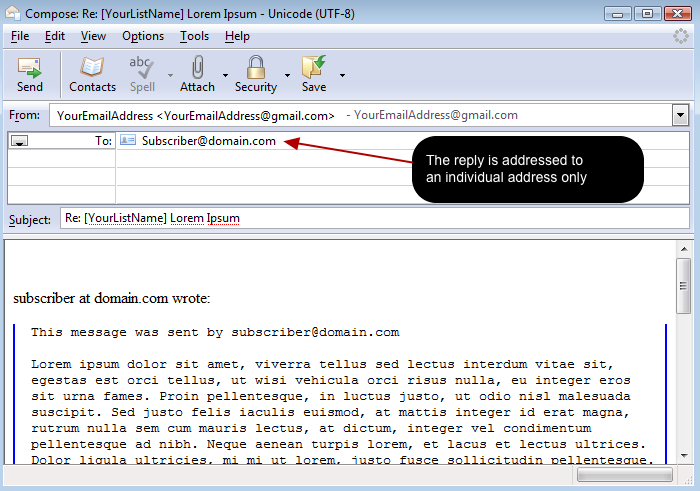 Because it sets the default email address of where the email will go, when a subscriber replies to a message. So if somebody just hits Reply, types in their comments, and hits send, without paying any attention to where the email is going, the Reply-To header controls what happens. Some people are strongly in favor of inserting a Reply-To header, directing any replies back to the list. They want to stimulate discussions. 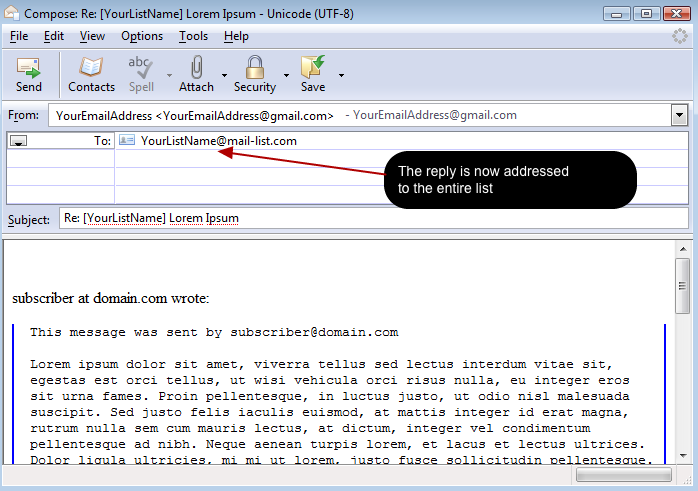 Other people are equally strongly opposed to putting any Reply-To header in the list's email. They prefer that only meaningful messages be sent to the list, and hope that making the poster change the address will cause them to reflect on whether their email has value to the list. And typically, these are people that have accidentally sent a private message to the entire list at some time in the past. This option is set for the entire list by the list owner, and you may set it however you want. Log into your Mail-List.com account from https://database.mail-list.com and click on "Customize Your List". 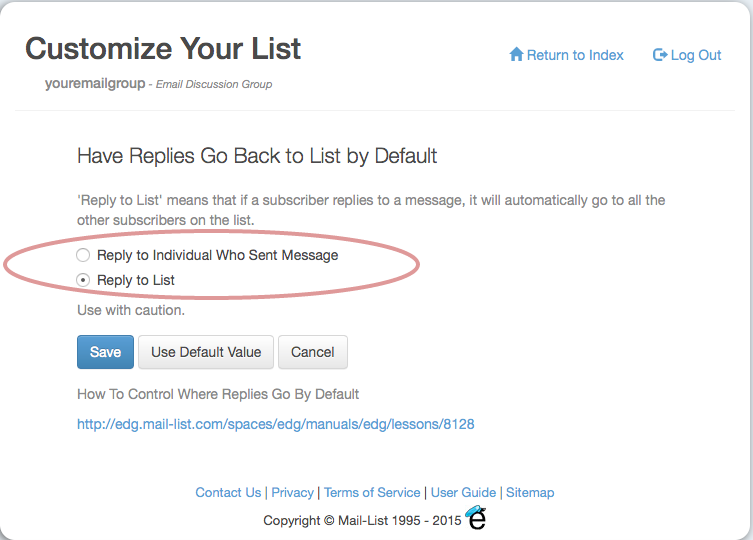 Reply to Individual Who Sent Message is the default setting on your list, and is the one we recommend using. When someone replies to that message, the reply goes only to the Individual who sent the message. This will send someone's reply to the entire list of subscribers. We do not recommend this setting. Most experienced mailing list members do not like this option because it's too easy to send a private message to the list by accident, sometimes causing embarrassment. Next: What happens when you hit "Reply" or "Reply All" to a message?